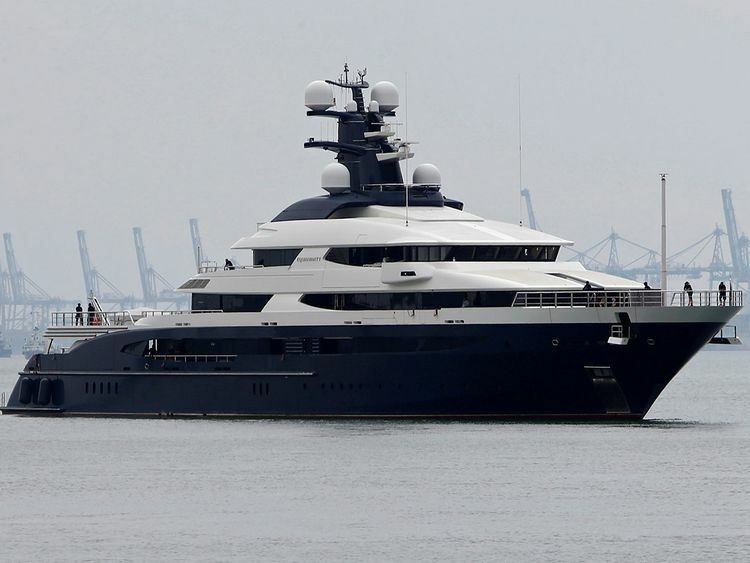 Kuala Lumpur: Malaysia will sell a superyacht allegedly bought with stolen funds from state fund 1MDB to casino operator Genting Malaysia Bhd for $126 million (Dh462 million), in the first major asset sale by Kuala Lumpur to recover billions lost from the fund. The superyacht Equanimity is among assets allegedly bought by fugitive financier Low Taek Jho and his associates with money taken from the fund, US and Malaysian investigators have said. Jho Low, as he is known, allegedly paid $250 million for the 300-foot yacht, which has an interior clad in marble and gold leaf, a spa and sauna, a 20-metre swimming pool, a movie theatre and helipad. Malaysia had put up the luxury yacht for sale in October, setting a minimum price tag of $130 million, but had struggled to find a buyer at that price. "Many offers were received... and a few were over $100 million," Attorney General Tommy Thomas said in a statement on Wednesday, adding that Genting will pay the $126 million by the end of April. Thomas said the government negotiated directly with Genting Malaysia and as a result would save $4.4 million in agent's commission. Genting Malaysia did not immediately respond to request for comment. 1MDB, founded by former prime minister Najib Razak, is being investigated by at least six countries for money laundering and corruption. The US Department of Justice has said some $4.5 billion was siphoned from 1MDB, and used by Low and his associates to buy the yacht, a private jet, as well as Picasso paintings, jewellery, and real estate. Malaysian Prime Minister Mahathir Mohamad, who came to power after a stunning victory in last year's election, has vowed to recover the money allegedly stolen from 1MDB. Malaysian police have issued an arrest warrant and filed criminal charges against Low, but his whereabouts are unknown. Low has repeatedly denied any wrongdoing. His representative did not immediately respond to a request for comment.